I was in the driver’s room just before afternoon runs. I glanced at the TV, a man in a hospital bed on life support. I needed the channel changed, no one had the courage to change it. Finally, this tall guy stepped up. I thanked him and explained. Then he told me about being in the hospital with his son, who had been in a coma for 5 days. The first moments upon his waking, the son still had some paralysis, which added to his angst. The son was very distraught and profusely apologizing for making his Dad go through all the awful events. The son wanted his Dad to forgive him and he wanted to make sure his Dad knew how thankful he was for his support. He told his Dad he knew he wasn’t the awful person he had been taught to believe. The dad had tears streaming down his face as he recounted the details. The interesting thing is that during those 5 days the son was in a coma, he told his Dad that he knew he was at his side the whole time. He knew about all the tears his Dad had shed and all the prayers prayed. For some reason, Eric told me that my child can still have an affect. ??? I do not like being in the drivers room. One day a young person was asking if it was too hard to be a parent. The answers were all over the place, but then, those folks haven’t had a child die. Life does change after a child dies !!! BUT, I will always cherish that God chose me to be Shawn’s MOM !!! I am struggling to remember when this happened, but I think it was sometime around Shawn’s b.day, January 2013. Melissa and I were always calling folks so Shawn could hear them. He would try so hard to talk. On one of Shawn’s calls with Bob, he kept saying: “Bob, I am sorry”, over and over and over. We could not get the other words figured out. I feel so awful that I was not able to figure out a lot of Shawn’s words or attempts at communicating. So, as Eric was talking about his son saying he was “sorry”, I was replaying the phone call moments when Shawn was saying “sorry” to Bob. During Shawn’s hospital times, what I did love was when Shawn would rest his head peacefully on my hand. I recall many times when I was so exhausted that I thought I could not stand anymore. I worked so hard to try and make sure Shawn didn’t know that my hand was aching. I cannot tell you how precious it was to watch him during those peaceful moments. Those moments for hope are gone. How I hope to keep the feeling of those moments. A favorite saying Shawn would tell his children. This past October 13th, I was walking down the bus lot, to the track, it felt like the time I was sitting next to Shawn, at Chilis, July 2012. I could actually, feel Shawn’s presence, all the way to the track. It was so real. I had such…I cannot find the right phrase, but it was wonderful !!! 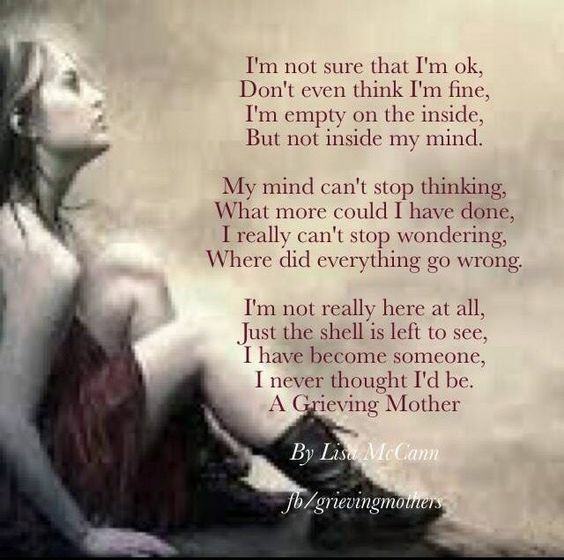 Grief is so frustrating. I thought I had gotten through a bad lung issue, but something was causing a gut grind. I was doing some online searches for asthma helps, last weekend, when I was slammed with a major guilt trip. Did I do enough for Shawn ? You see, our pastor and his wife had come up to the hospital, to visit Shawn, December 31, 2012. Shortly, before they arrived, a note had been placed on Shawn’s door. Something about only immediate family were allowed in, at the request of the family. Well, I must have missed that meeting. I thought it would be appropriate for Shawn’s past pastor to visit. A decision was made that we would visit in the waiting room and not cause anymore stress, for me, in case Shawn’s family found out. My first, response back was that; I was part of Shawn’s family, why couldn’t I have some say regarding who visited him ? Our pastor had been informed that my parental rights, as Shawn’s mother, were being threatened and I could, possibly, have my visits with Shawn, terminated. I decided to go along with our pastor’s decision.We had a very nice visit. I hope they enjoyed watching the fireworks, that January 2013, from their room. I know what a comfort they were to me, back then, and I hope God will bless them for their efforts, courage and thoughtfulness. I apologize for mentioning this issue. It caused me great turmoil during Shawn’s last days. I try, very hard not to mention anything about the other side of my story. I hope, someday, for the mending of relationships and do not want to ruin that opportunity. I, for certain, do not want Shawn’s children to think that Gram K is mean to folks or evil. I am trying to find ways to build bridges with hurt relationships that occurred from Shawn’s situation. I think many issues are still, too saddening, for me. My hope is that time will heal my many aches. I, sure hope I was able to hide that turmoil when I was at Shawn’s bedside, trying to comfort him. I hope I did not add to his suffering. Did he know ??? It was and is, ALL, so hard !!! My slam this past weekend was in being reminded about Shawn’s repeated plea, telling Bob he was sorry. What if Shawn needed closure with our pastor ? Should I have been more insistent ??? Did I do enough for Shawn ??? About 3 weeks ago, I learned that, many times, Shawn had said he wished they hadn’t shut me out of their lives. I know the words were meant to be positive, but for whatever reason, they pierced me to the marrow. It is my hope, in time, those words from Shawn, will override my guilt of not doing enough for him. I was speaking with a friend about doing my posts audio, when my bad lung voice is so awful sounding. She was very certain that I need do them, anyway. My voice, no matter how it sounds is part of who I am. I will certainly try.